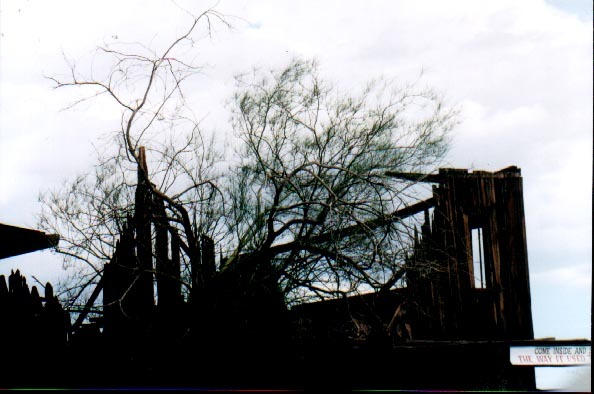 Recently a fire at Calico burned some of the original buildings including this one. 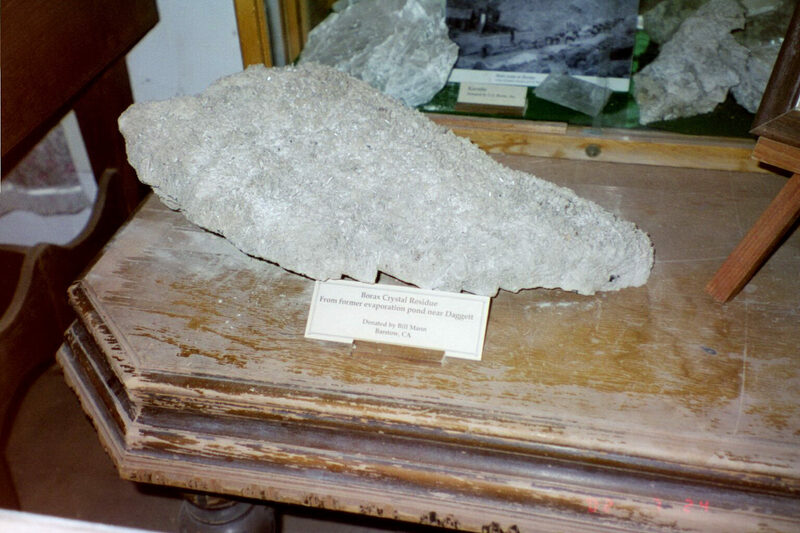 This is a sample of borax residue. 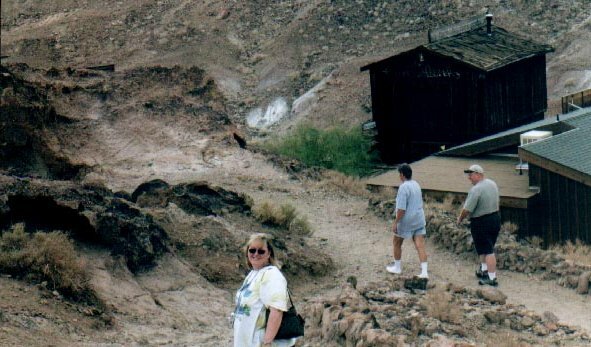 Borax is just one of the minerals that was mined at Calico in it's heyday. If you look closely at the mountains, you can see the entrances to several mines. 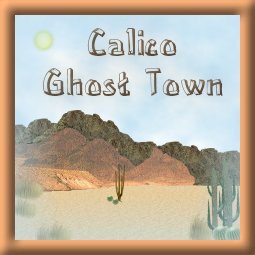 There are tons of them in the mountains at Calico. 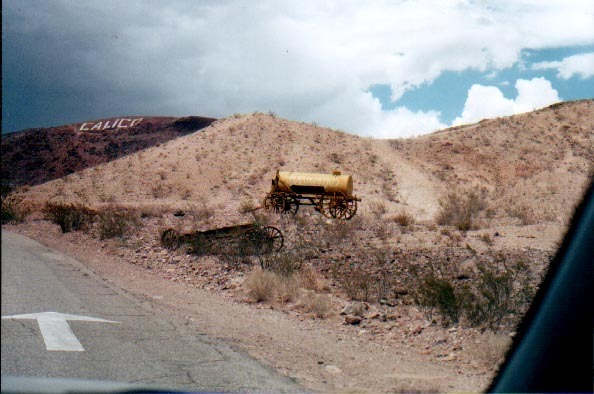 The second shot was taken at the entrance to Calico. 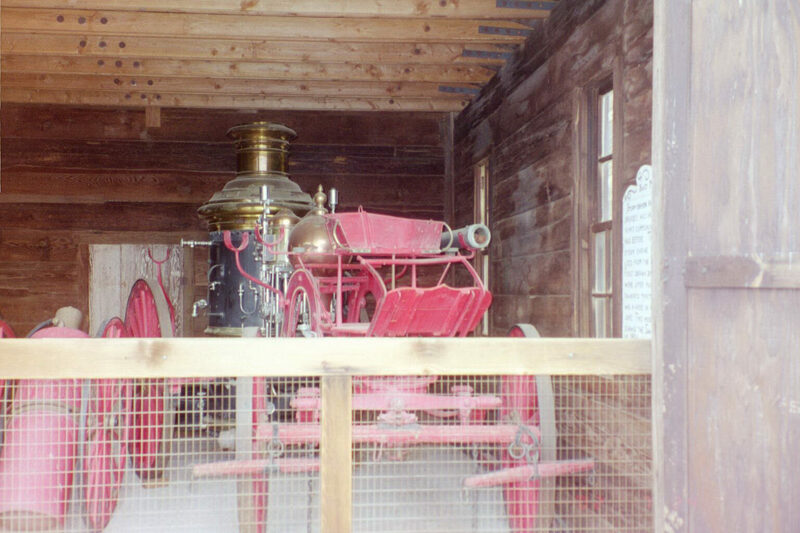 This is an old fire truck from Calico. 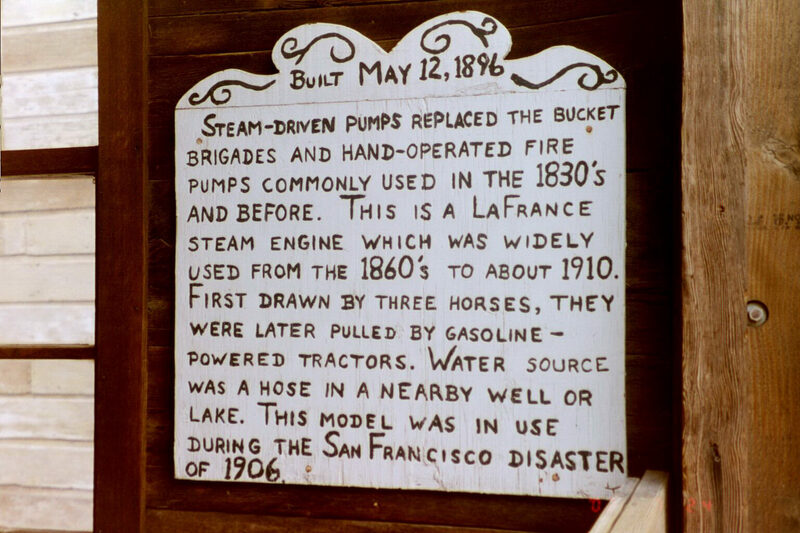 The sign informs you of the details about the fire truck. Shane took this shot of me as I was walking down from the observation area. I don't like heights! 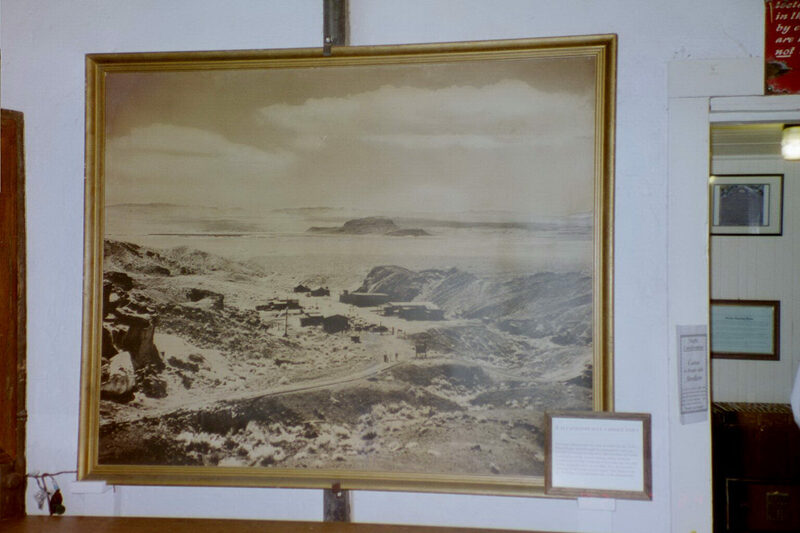 The second picture is an old painting of the original Calico. 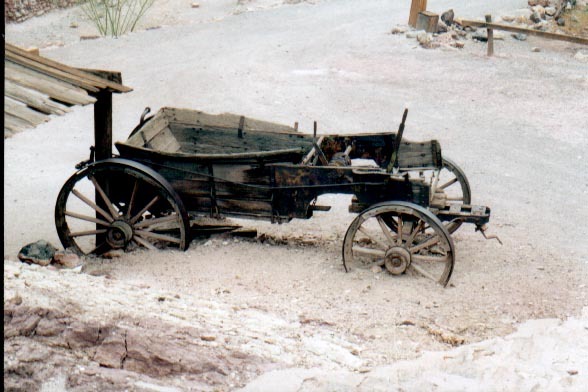 I love old wagon's and couldn't resist this picture. 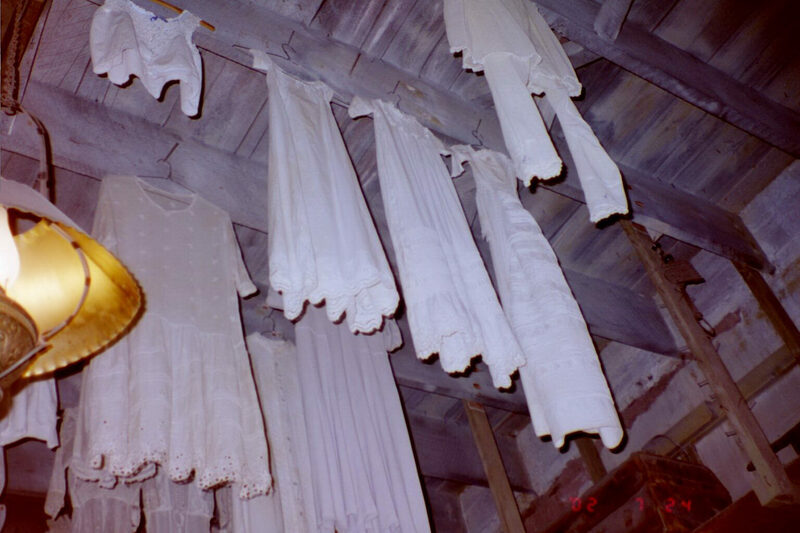 The old clothes hanging from the rafters in the general store are representative of period clothing. 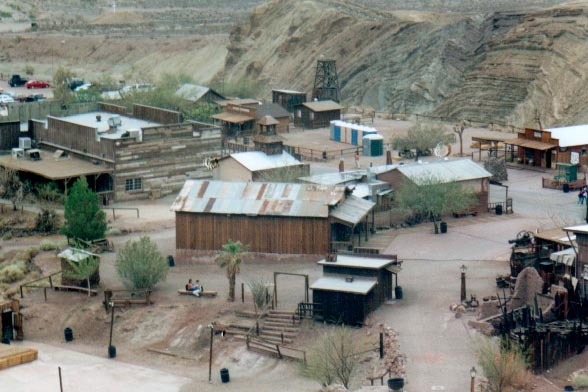 Hope you enjoyed seeing our trip to Calico Ghost Town!